I’ve been thinking a lot about historic places lately. As you do, when you live in Christchurch. 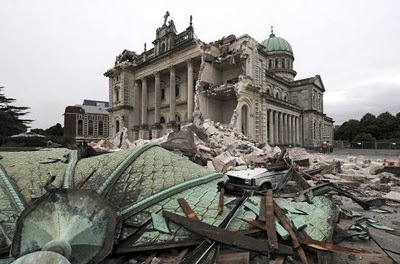 I was shocked when I heard that the spire of the Christchurch Cathedral had come down, and that the building was badly damaged, possibly beyond repair. 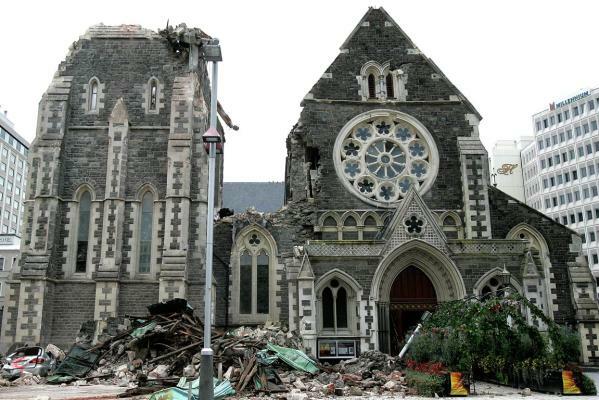 It is Christchurch’s most iconic building. But then as it sunk in, I reflected that I didn’t mind so much if it wasn’t there any more. Part of me thought, “good, let’s move on”. The church is a part of our past, a very important one. But to be completely honest, I wouldn’t mind if it wasn’t part of my future city. I know that many many people disagree with this, but I always thought it was ugly. I think we can do better. And when I look around at some of the other buildings that are going or gone, I feel the same way. They were draughty, un-green, impractical, dangerous buildings. Beautiful to look at, but not really all that much fun to live or work in. Need a new data cable or air conditioning unit? No worries, you’ll just need to drill through half a metre of double-brick. Brick, as it turns out, that wasn’t as sturdy as it looked. Trying to get out of one of those old buildings when your life depends on it is worryingly difficult. They are part of our heritage, but then so are a lot of things. When my Nana died, I had to let her go. She’s no less part of my history and I’ll always remember her, but I had to move on. I found new people to admire. People who shape the future me. I think we should to the same with our buildings. Document them, remember them, but now they are dead, let them be gone. Grieve for them, and then let’s move on. We’ve got a city to rebuild. A hundred-year milestone passed by us yesterday. For a moment it was 11:11 on 11/11/11. It’s a silly thing to mark when you really stop to think about it. The way we measure the passing of time is such a cultural experience. After all, it’s only because we mark time using the Gregorian calendar (rather than the Julian or any other calendar) that we’ve arrived at this date and time when we have. In the infinite universe there is no such thing as November 11th 2011. But, even with this information in my head, I still took a moment to marvel at the moment as it passed. It won’t happen again for 100 years – and it’s likely that no one currently alive will remember both occurrences. That makes it special I suppose. And aside from that, why do we care about something so seemingly insignificant? (Maybe you don’t personally care at all and paid no attention, but millions of other people did). I think humans like to find patterns in life. So much of what happens around us feels random and unordered. These little numbers bring the chaos into line, just for a moment. That’s how it seems to me anyway. It was very satisfying to look at my phone and see all those ones in a row, nice and neat.